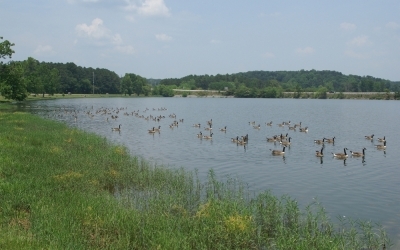 Canadian immigrants forming an armada on Lake Soddy, in south-east Tennessee. 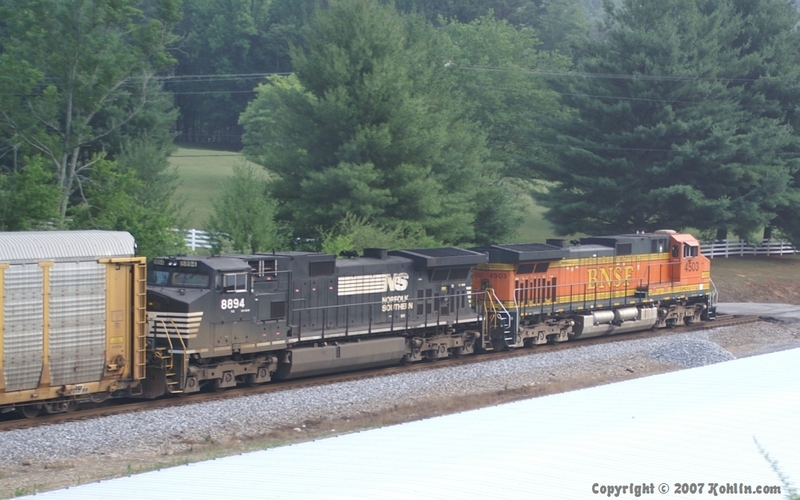 I first saw this guy at Bakewell, and finally caught (just barely) the front at south side of Dayton, Tennessee. 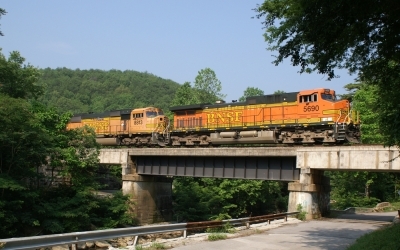 BNSF power on a Powder River unit coal train crossing the bridge over Big Soddy Creek, in north Hamilton County, Tennessee.